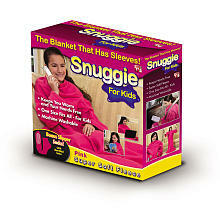 The wait is over, Snuggies for Kids are now available in two great colors (Royal Blue or Pretty Pink). Click the boxes below for the two available colors. Click on the Snuggie for Kids link below to get additional details and a picture of each of the Kids Snuggies in action. 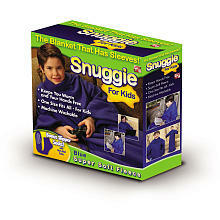 Kids Snuggie – a smaller size Snuggie Blanket with smaller arms so Kids can stay warm and do what they want to do.